GreyOrange, a leader in AI-powered robotics systems for flexible automation across fulfilment centers in supply chain, has announced US$140 million (S$186m) in Series C funding, marking the largest round ever raised by an industrial robotics company. 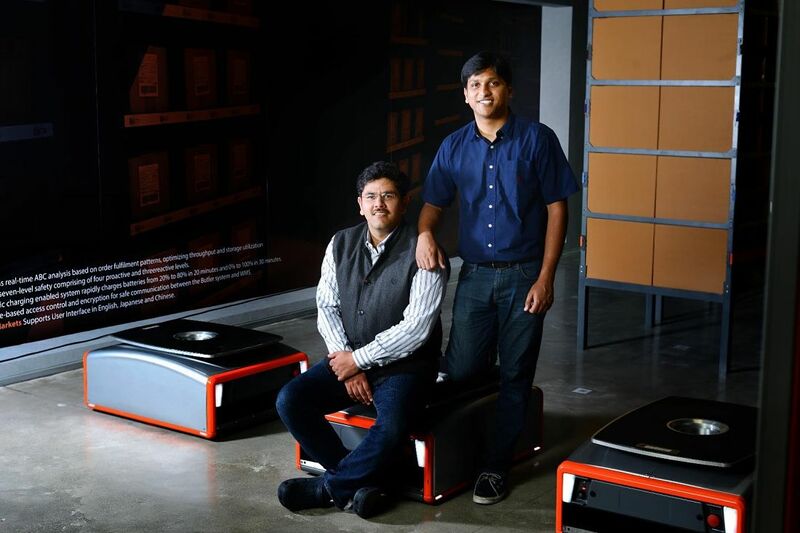 Founded in 2011 by Samay Kohli and Akash Gupta, GreyOrangeis a global technology company headquartered in Singapore with offices in India, Japan, Germany and the U.S. The company operates major Research and Development (R&D) Centers in India, the U.S. and Singapore. With the ongoing e-commerce and omni-channel boom, more international and regional operators are accepting that intelligent, flexible robotics solutions offer the highest productivity and efficiency improvements, giving these businesses a competitive edge. The GreyOrange Butler robotics solutions, using an AI-first approach, have been contracted for many new sites in Asia, Europe and the U.S. for customers in third party logistics, e-commerce, consumer electronics, fashion and fast-moving consumer goods (FMCG), among other industries. The goods-to-person ButlerTM, an AI-enabled autonomous robot, optimizes the supply chain process from inventory storage and replenishment to order picking. The Butler PickPalTM combines AI and Machine Vision to revolutionise automated fulfilment, working in tandem with the Butler to accelerate multi-fold the pick process in fulfilment centers. As the pace of global adoption for robotics automation intensifies, the growing portfolio of GreyOrange robots will continue to serve its customers well and power its international expansion. Previous ArticleHere’s why Walmart is hiring 1,000 more people in IndiaNext ArticleOut of stock online? Here’s what Zara is trying to do about it.